I get a little overly excited when I see a new reusable bag design at Wegmans. 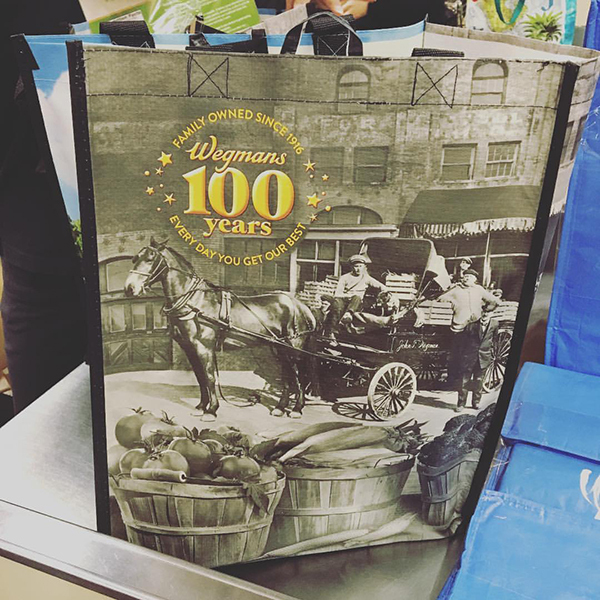 This one is especially cool because it is for Wegman's 100 Year Anniversary. If you are from Rochester or live anywhere near a Wegmans, you know this is the equavalent of the Queen's Diamond Jubilee. Wegman's never does anything halfway so there are plans for cake and more to celebrate 100 years. 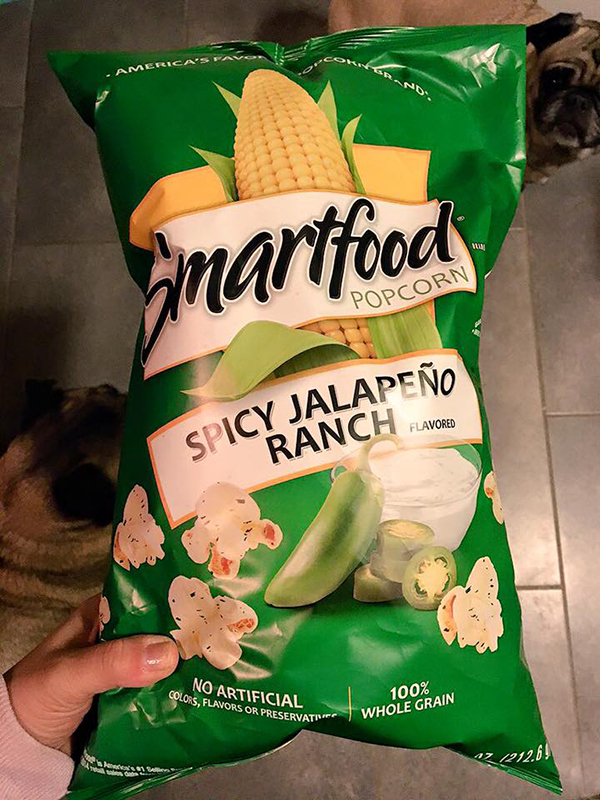 In other Wegman's news, as I was trolling the aisles, I spied this new Smartfood Spicy Jalapeno Ranch popcorn. I LOVE popcorn so I threw two bags into my cart in a flash and tore into one bag in the car. There is nothing on the Smartfood website about this delightful product, so I am left to wonder - what else is out there?!!! UPDATE: a search revealed that somewhere out there you can also find Smartfood Buffalo Cheddar Flavored Popcorn!